Benjamin Hart began playing the violin at age five in his hometown of St. Louis, Missouri. He is currently the Associate Concertmaster of the Louisiana Philharmonic Orchestra, a position he has held since January 2013. Previously, he was a member of the Owensboro Symphony Orchestra and the Evansville Philharmonic Orchestra. He has been a featured soloist with many orchestras, including the St. Louis Chamber Orchestra, Vanderbilt University Orchestra, and Louisiana Philharmonic. Benjamin earned a Masters in Music from Indiana University in 2012, where he studied with Alexander Kerr. He received a Bachelors degree with honors from Vanderbilt University, where he studied with Christian Teal. His early studies were with Rebecca Markowski, Dr. Richard Kent Perry, and John McGrosso. As a chamber musician, Benjamin has appeared across the US and Europe with the Ars Nova String Quartet. The group was founded at Vanderbilt University in 2008. In 2011, the quartet participated in the Advanced Quartet Studies program at the Aspen Music Festival, studying with members of the Emerson, Takács, Juilliard, Cleveland, Concord, and American String Quartets. They also participated in the inaugural Robert Mann String Quartet Program at the Manhattan School of Music in 2012. Benjamin has spent summers at the Innsbrook Institute, Kent Blossom Festival, Britt Festival, and Vanderbilt Academie in Aix en Provence, France. He has also received recognition as a composer/arranger. 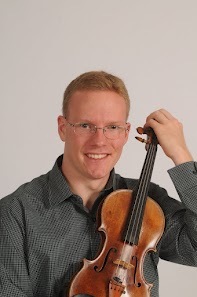 Benjamin teaches violin students of all ages and abilities. He is a registered Suzuki teacher and maintains a small private studio. He resides with his wife and daughter in Gretna, Louisiana.